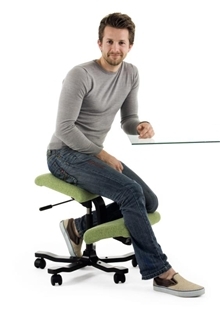 The original adjustable Balans® kneeling chair by Peter Opsvik. 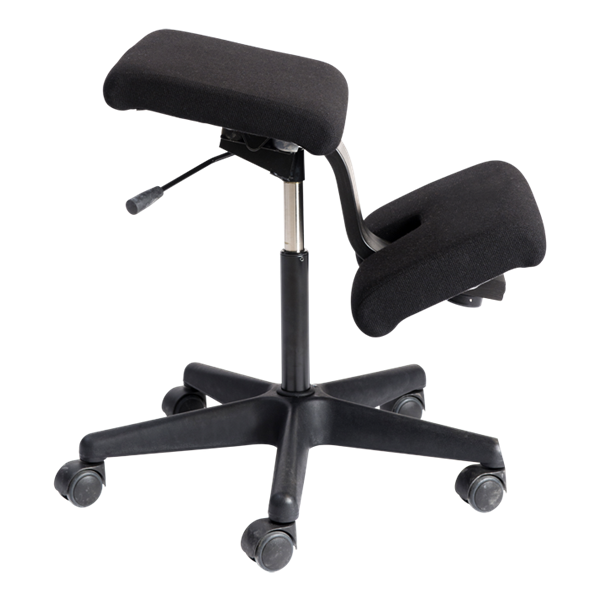 A forward-sloped seat on a wheeled base supports the body in a kneeling position. Adjustable height. Swivel base. 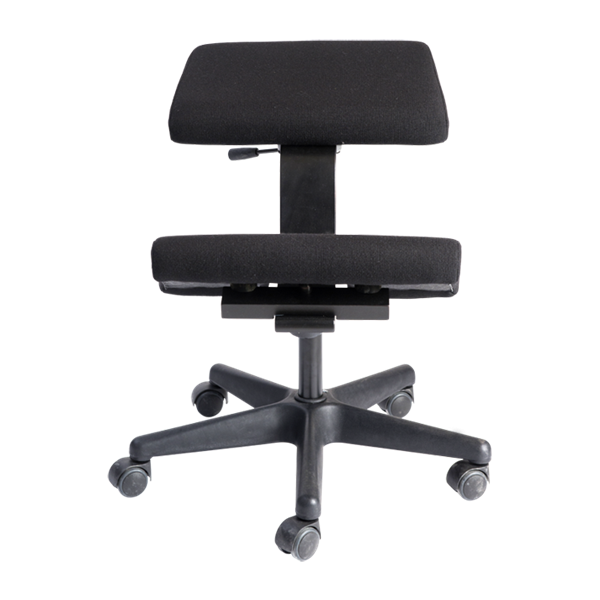 The original adjustable Balans® kneeling chair by Peter Opsvik. 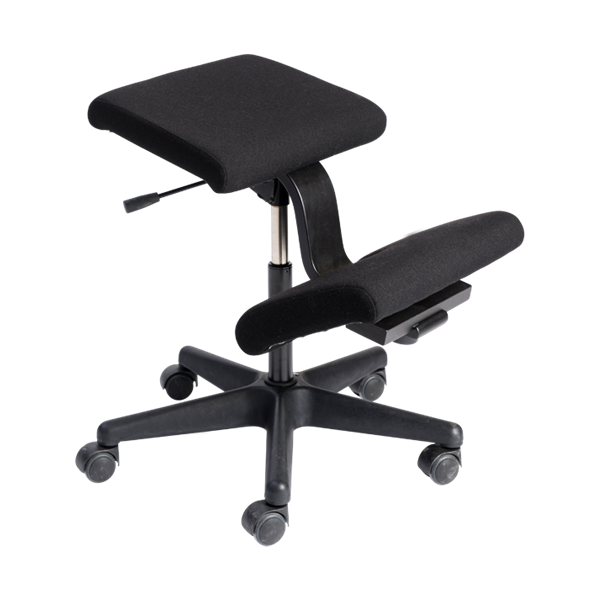 A forward-sloped seat on a wheeled base supports the body in a kneeling position. This increases the angle between the thighs and torso, allowing the body to naturally adopt a neutral upright posture similar to the spine curvature when standing, relieving pressures on the vertebrae and letting you breathe more deeply and freely. The benefits are not just for adults, as the posture, breathing, and energy enhancements of active sitting have been directly correlated with improved homework performance in adolescents. Humans were created to move, not to sit still. Adjustable gas lift for varying seat height. Made in Norway. Wood components are harvested from sustainable forests. 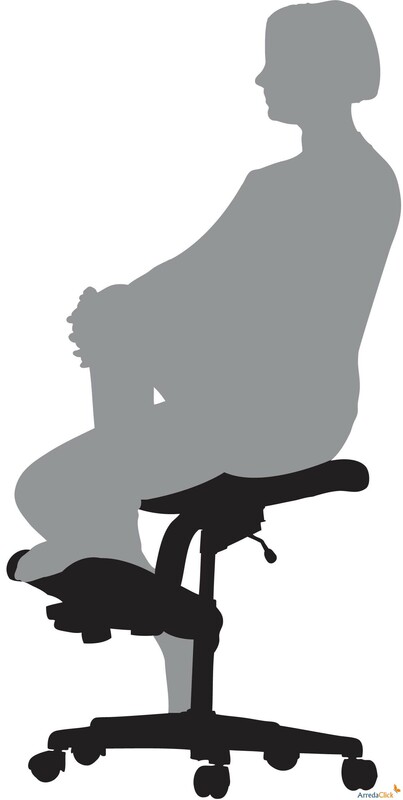 There are many different ways of sitting in the chair - toes touching the floor or not, one leg out, one leg in, using the kneepads or not, so you can move around quite a bit. Just because there are wheels underneath, doesn't mean that it is easy to navigate around your work area. Your feet do not touch the ground in the kneeling position, so it's not very convenient for rolling around or fumbling through the office drawers around your desk. Fits both children and adults from about 5'0" to 5'9". 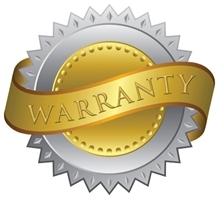 We do not recommend the Variable Balans for those over 5'9", those with very long legs, or those with big feet. For these individuals there may not be enough room for the legs, forcing the knees to bend further than is comfortable. 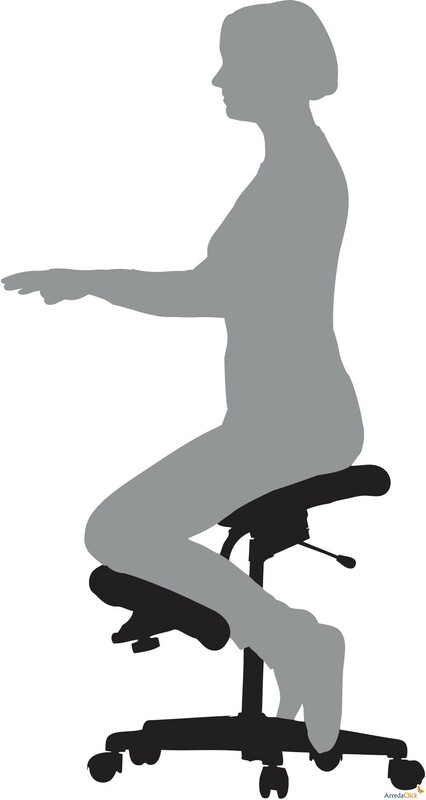 Use of the Variable Balans kneeling chair requires a minimum 130° knee flexion range of motion (bending of the knee). This is well within the normal range of motion for a healthy knee, but those with knee pathology may have lost this freedom of motion. A knee forced to bend beyond its available range of motion could cause harm. 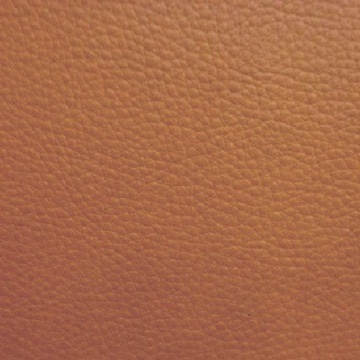 Seat height 19.3" - 27.2"
Kneeling chair vs. saddle seat - which to choose?